The law firm of Minion & Sherman is dedicated to providing responsive legal counsel to people in West Caldwell and throughout northern New Jersey. Our attorneys handle bankruptcy, family law, real estate and more. 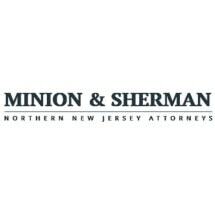 Handling cases in New Jersey state and federal courts since 1991 and 1992 respectively, attorneys Stuart D. Minion and Scott D. Sherman founded Minion & Sherman in 1995. The attorneys met as classmates at Livingston High School and have been friends for more than 25 years. Needless to say, they understand the value of friendship and strong relationships, and that plays a key role in the way they practice law. Honesty is emphasized at Minion & Sherman. When people come to us to determine whether bankruptcy is the right step to overcome debt, or when their family has been shaken by divorce or they simply need help with a real estate transaction, they want to know that the information they are provided is realistic and based on their specific legal situation. You can expect reliable answers that when you ask our lawyers questions, and you can expect us to be accessible to you from the start of your case to the finish. We will help you understand all your options for a resolution, and whether your case involves bankruptcy, family law, real estate or any other matter, we are equally comfortable helping you negotiate a settlement or taking your case to trial. At Minion & Sherman, we know how hard it can be to struggle with debt and the difficult decisions that follow. That is why we offer free initial consultations for clients considering bankruptcy. There is a way to keep your assets, stop foreclosure, and get the debt relief you deserve. By filing for Chapter 13 bankruptcy, you can keep the assets you value most by paying back what you can afford. Do you want to walk away from all your debts and get a fresh start? Whether you have student loans and medical bills or credit card debt, Chapter 7 consumer bankruptcy could get you the debt relief and financial freedom you deserve. At the West Caldwell law offices of Minion & Sherman, we handle every aspect of your divorce with compassion and understanding for what you and your family are going through. People save for retirement for years, putting away assets in a strategic manner in order to live comfortably. Now that you are facing divorce, protecting these retirement assets is a major concern.